조선 세종 때 신숙주, 최항, 박팽년 등이 왕의 명으로 편찬하여 세종 30년(1448)에 간행한 우리나라 최초의 표준음에 관한 책으로, 6권 6책의 활자본이다. 이 책은 세종 29년(1447) 9월에 완성되자 간행하라는 임금의 명이 있었고, 이듬해인 세종 30년(1448) 11월에 성균관, 사부학당 등에 보급되어, 이 책이 간행되고 보급되었던 시기를 알 수 있다. 현재 이 책은 전 6권 가운데 1권과 6권만이 남아있다. 내용을 보면 본문의 큰 글자는 나무활자이고, 작은 글자와 서문의 큰 글자는 갑인자이다. 글자체는 큰 글자가 진양대군의 글씨이다. 우리나라에서 최초로 한자음을 우리의 음으로 표기하였다는 점에서 큰 의의를 가지고 있으며, 국어연구자료로서의 중요성도『훈민정음』과 쌍벽을 이룰 정도로 높이 평가되고 있다. 또한 한자음의 음운체계 연구에 있어서뿐만 아니라, 훈민정음의 글자를 만든 배경이나 음운체계 연구에 있어서 기본자료가 된다. Published in 1448 by a group of distinguished scholar-statesmen including Sin Suk-ju, Choe Hang, and Bak Paeng-nyeon according to a royal order by King Sejong, this book, Dongguk jeongun (“Standard Rhymes of the Eastern State”), focuses on the “standard sounds” of the Korean language. Consisting of six volumes printed with movable types, it is known as the first book published to deal with the subject. According to historical records, the publication of the book was inspired by Hongmu jeongun (“Correct Rhymes from the Hongwu Reign”), a Chinese rhyming dictionary completed in 1375. 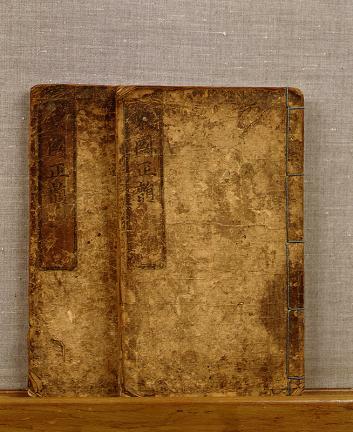 King Sejong and his scholar-officials wanted the book to be able to provide standard Korean sounds for Chinese characters, which had been a chaotic situation. The compilation of the Korean book was completed in the ninth month of 1447 and was published and distributed to major educational institutions across the capital including Seonggyungwan, the top institution of higher education, and the Four Academies (Sabuhakdang) in the eleventh month of the following year. Today, only two of its original six volumes -- Volumes 1 and 6 -- have survived. The remaining volumes show that the large scripts in the book’s main text were printed using wooden movable types; the small scripts, plus large scripts in the Introduction, were printed with the Gabin Types cast in 1434. 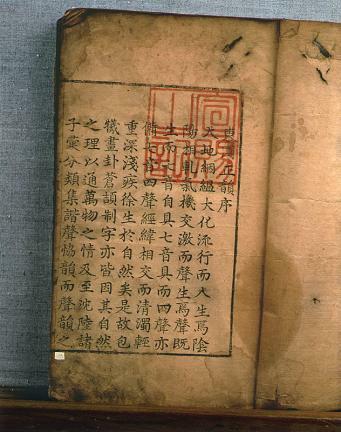 The scripts were made from handwritings by Prince Jinyang, later known as King Sejo (r. 1455-1468). 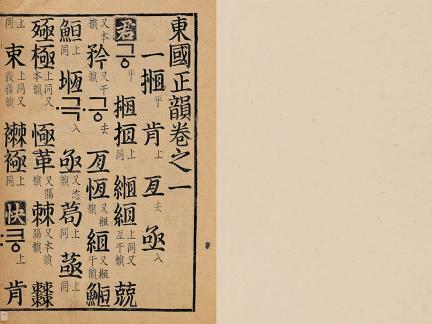 The book is considered extremely valuable since it is the first tangible effort to use the newly created Korean alphabet to mark the Korean sounds of Chinese characters. Its value as a source material for the study of the Korean language and background of creation of the Korean alphabet and phonetic system of the Korean language is also regarded highly and often compared with the Hunminjeongeum or the Korean writing system itself.